WHETHER you are just starting out on your quest for knowledge about arguably Scotland’s greatest hero or are an old campaigner looking to gleam something extra, this is a must have book for your library. It is written in an easy-going natural style that will hold you there until you have read through from cover to cover. The known chronological facts about Wallace are documented and others debated, but what really makes this book special is that unlike any other book on the subject, it takes you on a visit to the sites where Wallace walked and fought and died. There are maps and detailed descriptions of sites from the past and present and sadly some no longer with us. There are also many beautiful line drawings of monuments, plagues and buildings connected to our hero. The story of William Wallace has continued to inspire patriots even over 700 years after his cruel end. 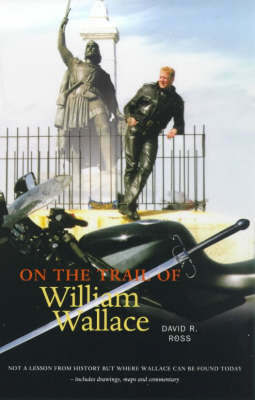 This book will help his legend grow as more folk follow on the trail of William Wallace and feel his indomitable spirit touch them at each stop along the way.